Geronimoshortwave ( RGSW ) has been experiencing some problems on there Hotmail .com email contact address for some time now. After contacting Hotmail direct they have decided to carry out some maintenance on the site, which means Geronimoshortwave@hotmail.com will be out of service for one month. So in the meantime you can contact Geronimoshortwave at Geronimoshortwave@gmail.com We do not know if Hotmail/Outlook.com will hand over our old address ( in service since 2002 ) to us again after one month perhaps not!! in which case we will continue with the new Gmail account. 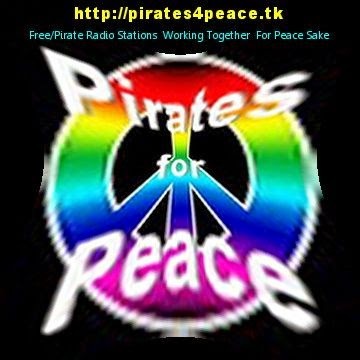 I hope they do offer our old site back to us as we have a lot of very good old shows from the past we would like to re-transmit back over shortwave, they of course contain the Hotmail announcements. Info Via Geronimo SW Team. 6400-7.45 Radio GSV Jazz Music And Various Types Of Instrumental Music. Also Id Jingles Sinpo 44333. Good To Hear This Station Again On SW.
6300-8.50 Unid Playing Dutch Music. Weak To Fair Signal Sinpo 33233. 6925-21.32 Radio QRP( see comments) Playing Country Music. Good Signal Sinpo 44344. In June and July no transmissions on 7265 and 9485. It's already time for another one! From the 3rd to the 5th of July 2015, everyone of distinction in the free radio scene meets once again – both listeners and stations! On this particular weekend, it’s provisionally planned that the next Borderhunter summer meeting (well-known and well-loved across Europe) will take place in the first weekend of July. Only those who already know about this fantastic meeting, know what the home stayers miss. Radio Borderhunter will organise a meeting for friends of the free radio and pirate hobby, that is not only unique, but will also remain unsurpassed – that we promise all hobbyists! In order that we can plan better, we request that you let us know when you are coming, in advance if possible, as we want to make sure that we have enough food beforehand, for example. 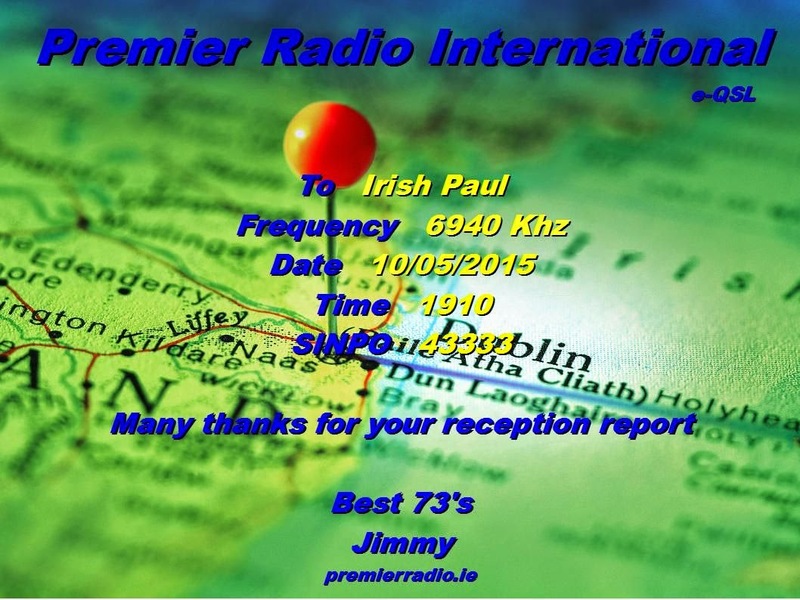 16th May 2015: 08.00 to 09.00 UTC on 9510 kHz via IRRS. Another Beautiful E-Qsl From Premier Radio. on short waves QRG in Amplitude Modulation. This second edition will have small difference in rule. message in Italian and English, that is ever the same for all 7 ( seven ) Italian Free Radio stations. Arcadia’s QRG will be communicated last-minute on Chat/FB, depending band’s condition. To participate to the game as SWL, you only have to recreate the complete message. All SWL can participate to the game with their own radio and antennas, and also using web SDR receiver. your postal address ( if communicated). certificates. The final results will be published within 10 day from 10 May 2015. We hope in good conditions and we invite you to participate to the game! Radio Spaceshuttle Mothers Day Special Broadcast. Hi folks- We are celebrating Mothers Day with nice beutiful music Sunday 10th of May! Hobart Radio International joining with. Program includes also wishes to few contacts and friends of ours. Please join to our channel! Effective from Today, the new International Shortwave Broadcast Guide-Summer 2015, is now available at Amazon. Attached is the PDF Press Release. to 21 hours UTC-time sunday 3rd of May. North-America and for areas around Europe and nearby. Really wishing that our signal can reach you without any interference or noise.